Despite being thin on the detail of the GRB, so far all appears so good. But scratch the surface and things are not so simple underneath. The first point relates specifically to workers’ rights. Contrary to the Prime Minister’s promise, the White Paper envisages that workers’ right derived from EU law will have no privileged or guaranteed status whatsoever in the GRB. True, the rights are frozen at the point of exit, in common with most other EU-derived laws. But thereafter they can be picked off at will by means of delegated legislation. Many commentators have focused on the scope of the Henry VIII powers in the GRB itself, which will permit delegated legislation to make ‘necessary corrections’ to the process of leaving. But post-Brexit the vires of these powers isn’t likely to trouble a government determined to remove the red tape of EU social regulations. The existing powers by which social rights, such as those initially preserved in the GRB, can be watered down include Part 1 of the Legislative and Regulatory Reform Act 2006 (LRRA 2006). By s.1 a Minister may introduce a statutory instrument to remove ‘any burden, or the overall burdens, resulting directly or indirectly for any person from any legislation’, including primary legislation. A ‘burden’ for this purpose includes a financial cost or an ‘obstacle to efficiency, productivity or profitability’ (s.1(3)). Before making the order, the Minister must consult certain persons, including those representative of interests substantially affected by the proposals (s.12). In addition, there are some substantive protections, such as the order must not remove any ‘necessary protection’ (s.3); but, post-Brexit, it will no longer be ‘necessary’ e.g to have rules on working time which match those in EU law. Finally, Parliament can insist on the adoption of an affirmative resolution procedure or a ‘super-affirmative resolution procedure’ which provides for some degree of scrutiny of the draft order (ss 15-18). Quite apart from any powers in the GRB, the powers in Part I of the LRRA 2006 could be used after Brexit to repeal, revoke or amend the ‘red tape’ of social rights. Those perennial targets of the Conservative Right, such as the Working Time Regulations 1998 or the Agency Workers Regulations 2010, won’t be given any shield by the GRB. The power could even extend to removing rights protected in primary legislation, such as in the Employment Rights Act 1996 or the Equality Act 2010. The promised guarantee of workers’ rights in the GRB is a chimera. These short paragraphs leave many unanswered questions. Contrary to the assumption in the White Paper (para. 2.14), the ECJ does not rule on the meaning of ‘EU-derived law’ – that is, domestic legislation – but on the meaning of EU law. On the other hand, the ECJ also requires that national law must be interpreted so far as is possible in accordance with EU law. It is not clear if this radical interpretative principle is to be preserved in the GRB; if it is not, the EU case-law will be considerably weakened post-Brexit. To take a practical example, based on the calculation of holiday pay which is cited in the White Paper (para 2.15). The ECJ rulings are pretty straightforward on the meaning of the Working Time Directives: workers must be paid their normal remuneration in respect of annual leave. But the tricky bit is interpreting national law to achieve that result – in some cases that’s only possible if you apply the strong interpretative obligation, a point made explicitly by the Court of Appeal in British Gas v Lock. If you don’t import the interpretative obligation post-Brexit, the case-law of the ECJ will not achieve its effect, workers’ rights will be weakened and the result is anything but the certainty the White Paper tells us is meant to be ensured. It isn’t clear, in other words, what is meant by determining questions ‘by reference’ to the ECJ’s case law. But if the interpretative obligation is preserved in the GRB, as the underlying purpose of legal certainty suggests it should be, there are still serious problems. Suppose a worker wants to argue that, say, the Agency Workers Regulations should be interpreted as meaning x because that is what the parent Directive requires. Presumably this is a permissible approach to take, as the argument is based on what EU law meant at the time of Brexit. Now suppose there is a decision of the ECJ, post-Brexit, holding that the Directive does mean x. Is a national court meant to ignore that decision, as the White Paper implies, or look at it and somehow take it into account? This is especially bizarre because the ECJ, in making rulings, applies the declaratory theory of the law save in those few, exceptional cases where it gives its decisions prospective effect only: see Case C-292/04, Meilicke at paras 34-6. The difficulties don’t end there. It’s not clear what other principles of the ECJ case-law pre-Brexit are or aren’t to be preserved in the GRB after Brexit. Are general principles of EU law which are directly effective, such as protection against discrimination, to be preserved? The ECJ has held, too, that Member States must give effective protection to EU-guaranteed rights, including deterrent sanctions and full compensation; the expression of these principles in Article 47 of the Charter and Article 19 TEU, neither of which is preserved in the GRB, is largely a reflection of the existing case law. The principle of equivalence, by which procedural rules applying to EU-derived rights must be no less favourable than those applying to similar domestic actions, is also a creation of the ECJ. These principles continue to bite on domestic law: the principle of effectiveness, for example, was very much to the fore in the recent case on employment tribunal fees in the Supreme Court, and the principle of equivalence allowed thousands of workers to bring claims for underpaid holiday pay under the deductions from wages jurisdiction. Will they continue to operate post-Brexit as a restriction on national procedural autonomy? The certainty to which the White Paper appeals is nowhere near as straightforward to deliver as an initial reading suggests. The drafters of the GRB have some difficult work ahead. 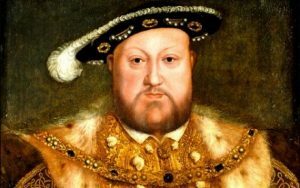 Debates about the proper scope of Henry VIII provisions in erasing or watering down social rights will not end with that Bill, which falls far short of guaranteeing workers’ rights, and the continuing effect of the ECJ in the post-Brexit world still awaits proper clarification.